Recorded 2/2/18 - Guests two EPs in a row! We are joined by Omar Santos from Cisco PSIRT to discuss CVE-2018-0101, the Cisco ASA Remote Code Execution and Denial of Service Vulnerability. See the PSIRT post below for latest updates. We also discuss Crypto miners overtaking ransomware, a Flash 0-day carrying a known ROKRAT payload (huh?? ), and we couldn’t escape discussing Autosploit because Rob Joyce faved one of Craig’s tweets. 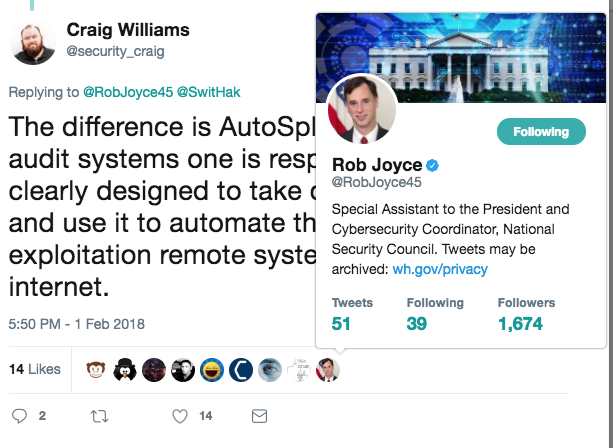 47:27 - Autosploit - oh, did Craig mention that Rob Joyce favorited one of his tweets? 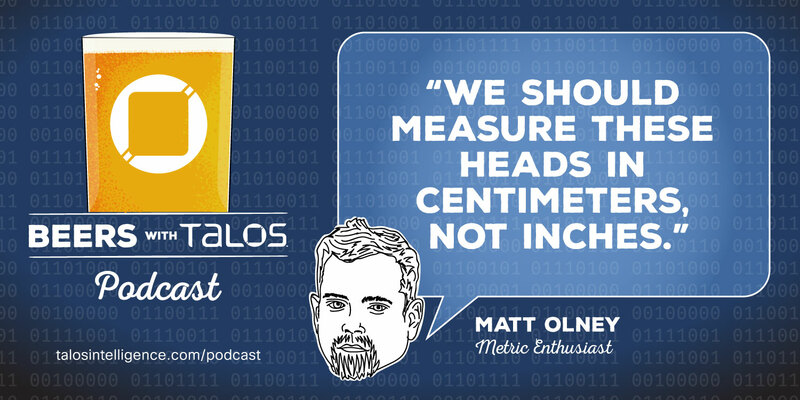 53:15 - Flash 0-day in the wild: What’s the logic behind burning an 0-day with a known payload?